This document lists brief descriptions of current and older development tools for the PC, along with notes and a brief list of features. While you can find older versions of development tools in many places, links to the old/used programming tools sales pages of EMS Professional Software, this page's sponsor, are provided for your convenience. EMS is not affiliated with Symantec or any other vendor. All terms on this page are trademarks of Watcom, PowerSoft, or Sybase.. Version info for other vendors' products. 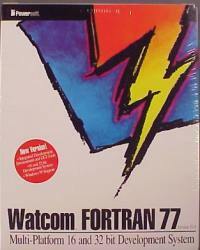 Where to buy old Watcom software. The upgrade documentation set leaves out the Watcom C Language Reference and C++ Programming Language by Bjarne Stroustrup. - New integrated development environment hosted on Windows, OS/2 and Windows NT. - Comprehensive suite of multi-platform development tools including debugger, browser, profiler and more. - Professional source editor, resource editors, testing and monitoring tools hosted on Windows and Windows NT. - Both 16- and 32-bit compilers for C and C++, the industry's best code optimizer, faster compile times with pre-compiled headers, C++ supports templates, exception handling and the Microsoft Foundation Class library (MFC). 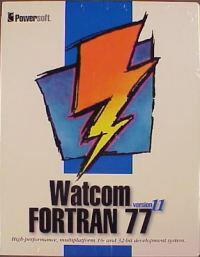 Watcom C/C++ 10.5 or 10.6 manual set. My guess is the following constitute the extended manual set for 10.5 and/or 10.6.